Today, 80% of CEOs seek a much broader range of skills in their company’s workforce, according to PwC. Candidates need not only the technical skills that enable them to engage with constantly evolving technologies, but also the social skills that make them forward-thinking, team-oriented and goal-driven. To attain these skills, workers at every level must become lifelong learners, constantly self-evaluating and finding opportunities to gain new skills. 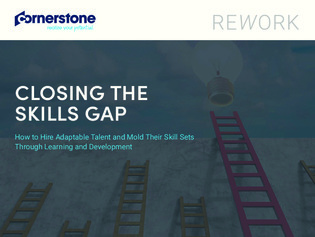 Download this collection of 7 articles from experienced HR professionals to review what to look for in new workers and how you can help your current workforce develop the skills they need to thrive.